One of the Society’s core values is our mission of “doing the right thing” and we have always worked hard to ensure the business lives up to this. One area is helping vulnerable people achieve financial security by providing a safe and sympathetic environment for them to manage and discuss their savings and mortgages. We are aware that customers who are vulnerable can be at risk of making important decisions that could be to their detriment, as well as falling foul of financial crime. Our aim is to provide the correct support and assistance to those customers who may need special consideration. Our staff are given training and an in-house guide. This gives practical tools and strategies to help staff recognise vulnerable customers and those that may be struggling with a capacity issue. At various times customers may require special consideration, for instance when organising Power of Attorney or coping with issues due to bereavement. In these circumstances we can provide access to practical, jargon-free information and help finding the external sources of advice. Our team will treat you with compassion and respect when you seek our help and support. If you would like to talk to one of our team please call us on 01494 879500. 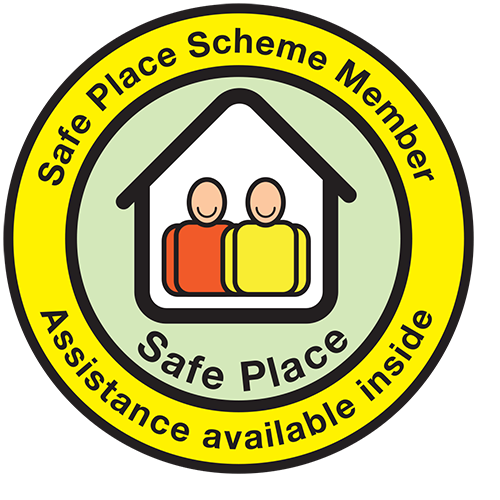 We have recently signed up to the “Safe Place Scheme”. This scheme offers a place of safety to those in the community who find themselves distressed, or at potential risk, whilst out alone. A sign is displayed to advise that the Society is part of the scheme and vulnerable people are given a list of safe places should they need it.